Kappa-Tengu are a group of minions of the Tengu Shredder’s army. 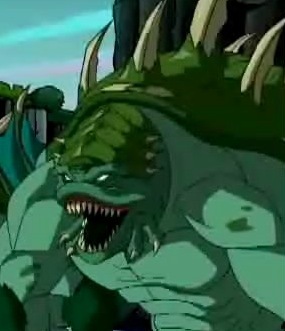 They appeared exclusively in the 2003 TV series Lost Episodes and the cell phone RPGs based on them Teenage Mutant Ninja Turtles: Ninja Tribunal andTeenage Mutant Ninja Turtles: The Shredder Reborn. The Kappa-Tengu are simply a stylized version of theJapanese demon known as the Kappa. The term Tengu was used as a generic term for Japanese demons in The Lost Episodes, and thus, was affixed to the characters’ name.